There’s something inherently relaxing about a good cup of tea. Even in a busy city like Tokyo people still take the time to enjoy a good brew! As a result, specialty cafés are popping up all over—many of which are serving tea in creative new ways in a more modern atmosphere. Check out these awesome shops the next time you need to take a time out. Here are some excellent choices for those interested in a more contemporary take on Japanese tea. With branches in both Shibuya and Udagawacho, Gen Gen An by En Tea brand their café as “the next standard in tea," and it shows. You get a real sense of the effort and skill that goes into each cup—each staff member shares a passion for tea, and many of them visit producers to learn as much as they can about the production process. The artistry they show for brewing also informs the minimalist but stylish interior. Art Director Shun Kawakami designed this café with a coffee stand in mind, and he wanted to showcase the beauty and craft of both coffee and tea. This café brings the flavors of Kyoto to Tokyo, sourcing their organic tea leaves from Kyoto’s small shops and plantations. They even get their teapots from Kyoto, using Kaikado’s line of traditional tea canisters. Each and every cup is made with the utmost precision. Hachiya is a specialty tea stand café that also serves up some incredible Japanese sweets. With its gravel entrance and walls styled to look like traditional ukiyo-e, Hachiya gives off a very modern vibe while harking back to Japan's romantic past. Green tea, hojicha and genmaicha are their main focus, but the café often makes its own original seasonal drinks. For example they have their own special matcha latte, but depending on the season they also have a fruit and matcha soda. We just can’t stop going back to find out what’s new! Tokyo Saryo has recently gained popularity because it’s the first café in the world to offer hand-dripped Japanese tea. They carefully select the best tea leaves from around Japan, and use a dedicated tea dripper to make the most of such high-quality tea. The wide selection of tea leaves brings out notes of sweetness, bitterness and umami, and the aromatics are incredible. It's a great place to visit if you're an aspiring tea connoisseur! Souen's owner has had a lot of experience with Japanese sweets and cuisine, and decided to build on that experience by opening up a café. Souen offers a wonderful blend of Japanese food and drink, including original creations that utilize both Japanese tea and sake. One of the best things is that the seats are at the counter, so you can watch in awe as the baristas make their signature drinks. France-born owner of Ocharaka (and certified sommelier) Stephane Danton creates his own drinks by adding different flavors to the tea. In 2005 he opened a café in Kichijoji, but has since moved to Nihonbashi Muromachi, where it has happily operated for over 10 years. You can buy over 50 different types of tea leaves over the counter, including mango, strawberry and more! Such unique flavors make for a great souvenir! As you might discern from the name, Salone de thé PAPIER TIGRE is a popular French brand that opened up a branch in Tokyo. They set up shop in a renovated a 50-year-old building to create what they call a "tea salon." They source all their tea leaves from within Japan and use only pesticide-free, organic leaves for both their teas and their desserts. So, you can have a guilt free café experience! Be sure to pick up some high-quality (and adorable) goods while you're there! If you're in the mood for something a little more traditional, the following shops are definitely worth checking out! Higashiya Ginza has a refined sense of style, and gives you a chance to enjoy Japanese desserst and tea in a traditional setting. They originally opened up in Meguro, though they've since moved to Ginza. 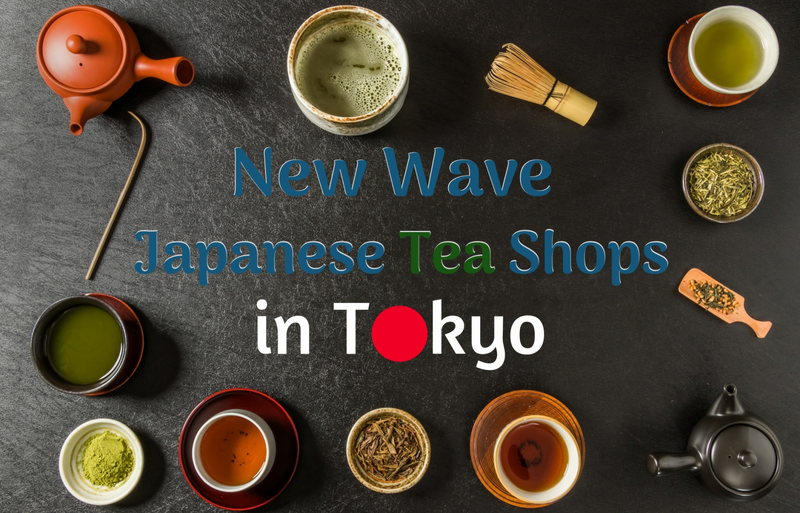 This stylish riff on a traditional café has gained lots of attention, in part because you can choose from over 30 different types of Japanese teas! Ippodo is a long-standing Kyoto favorite that has built a reputation of excellence in Tokyo as well. The interior design uses natural materials to create a cozy, warm atmosphere where the soothing scent of the tea can wash your stress away. The café advocates the idea of “being able to enjoy delicious tea from home” by showing you how to pour tea in the traditional Japanese way, so you can do it anywhere. If we were only talking about looks, the main selling point of Chachanoma would have to be its incredible windows—the gorgeous light combined with high-quality tea will simply warm your soul. To serve such high-quality tea, the tea leaves are carefully selected from a plantation owned by a Japanese tea connoisseur. The menu is fairly extensive, but is explained in such a way that even the utmost beginners can begin to navigate their way through the Japanese art of tea. A store unlike any other, at Gekko you can try fresh mochi, handmade by the owner each morning—not to mention their special Japanese tea. They specialize in the delicious green tea cultivated in Shizuoka, which they serve up in unique tokoname teapots. When you want a top-up of hot water, you can use one of the large iron kettles for yourself, which helps you feel like part of the brewing experience! Tsukimasa is a long-standing tea room that was first established in Showa 53 (1978). The menu is incredibly varied, from sencha to matcha, uguisu genmaicha to butter tea, this place has it all. The most popular tea is the reliable and flavorful house-brand Tsukimasa leaves, which go perfectly with some of the delicate Japanese desserts they offer! Newly renovated, Chacha Kobo is a café where you can truly relax. They use organic, pesticide-free tea leaves, which go very well with their Japanese-style sweets. You are actively encouraged to take your time at this place, as a pot of hot water is served with your tea, so you know you won't be rushed out the second you finish your first cup! Ujien is a longstanding tea shop from Osaka that has recently made its way to Tokyo's stylish Omotesando neighborhood. Based within the beautifully renovated Omotesando Garden complex, the atmosphere is simply delightful. There's also a menu that allows you to perform your own small matcha tea ceremony, so you can get hands on with this enduring Japanese tradition. Read the original article from All About in Japanese via the link below!